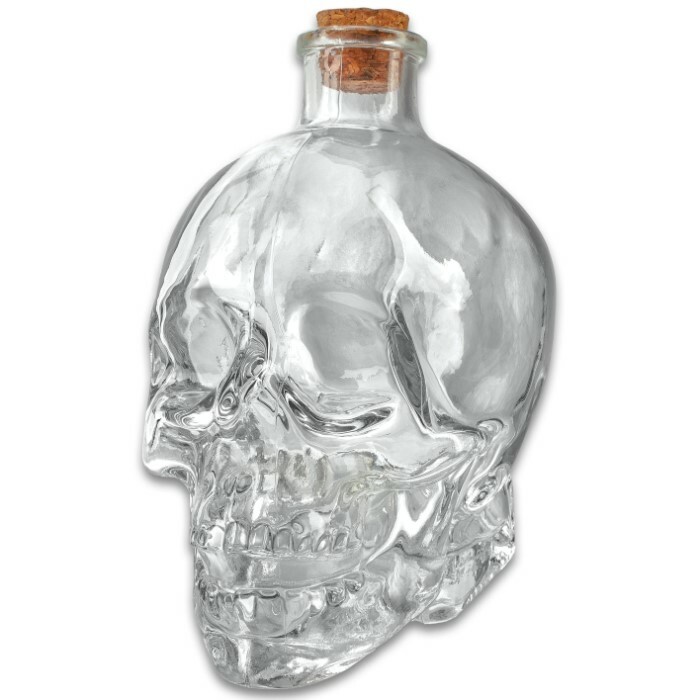 Glass Skull Bottle With Cork Stopper - One-Piece Quality Sculpted Glass, Highly Detailed - Dimensions 5”x 3 1/4”x 5 3/4” | BUDK.com - Knives & Swords At The Lowest Prices! 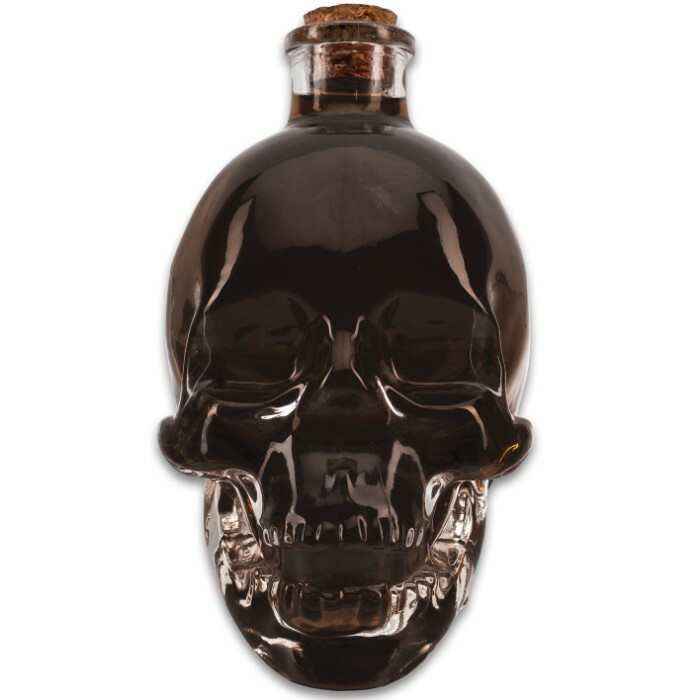 The Glass Skull Bottle With Cork Stopper makes a great addition to your home bar to display your favorite beverage or bar snacks. 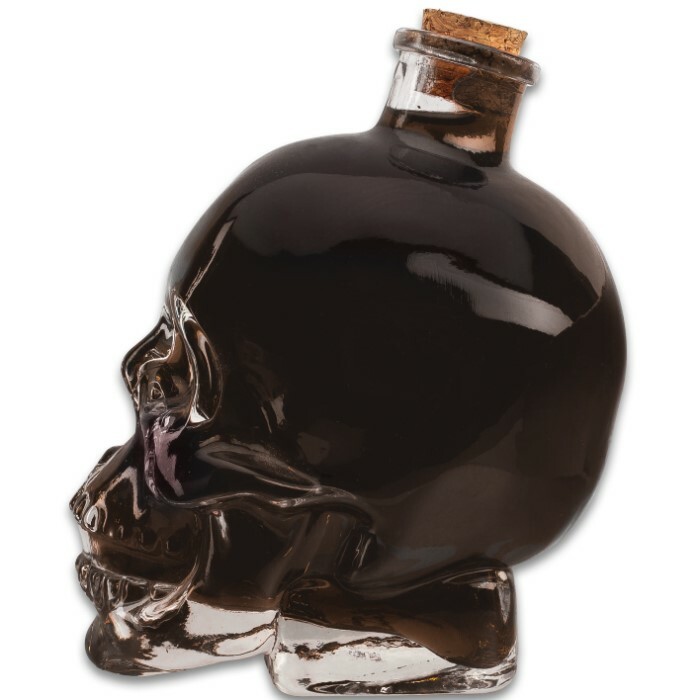 The bottle has a highly-detailed skull design, sculpted in one piece of quality glass, and it includes a real cork stopper. 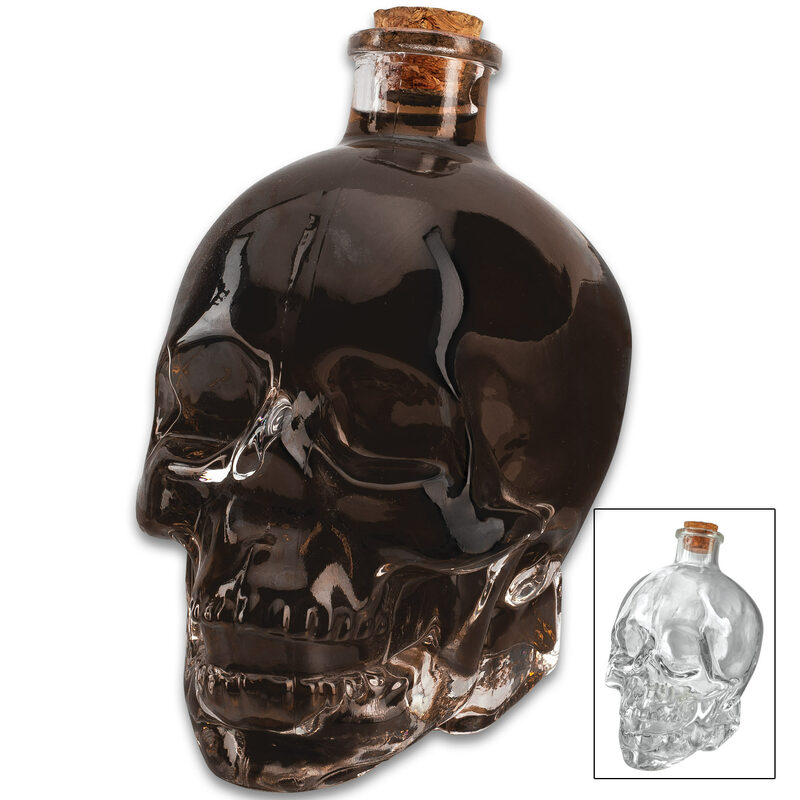 This display bottle has a capacity of approximately nine ounces and its dimensions are approximately 5”x 3 1/4”x 5 3/4”. A little smaller than I thought ! But very well packed. I would buy these again. They look great.